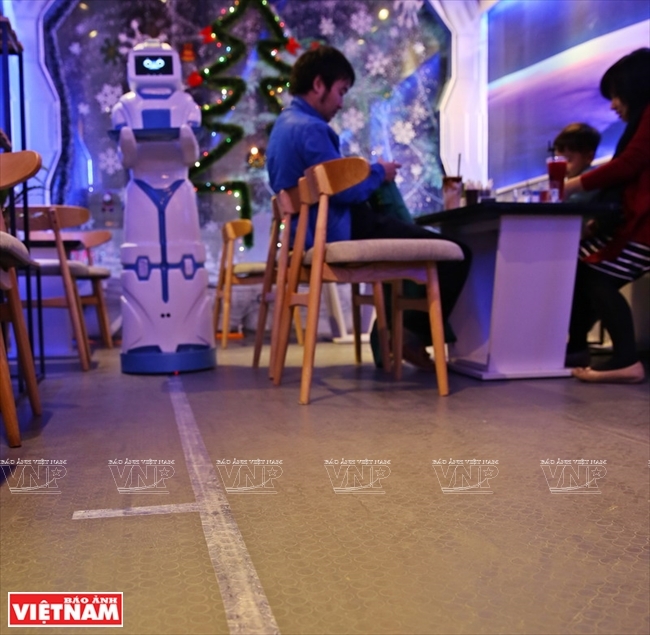 Located on Lac Trung street in Hanoi, Robo Café makes it special by having a robot waiter named Mortar. 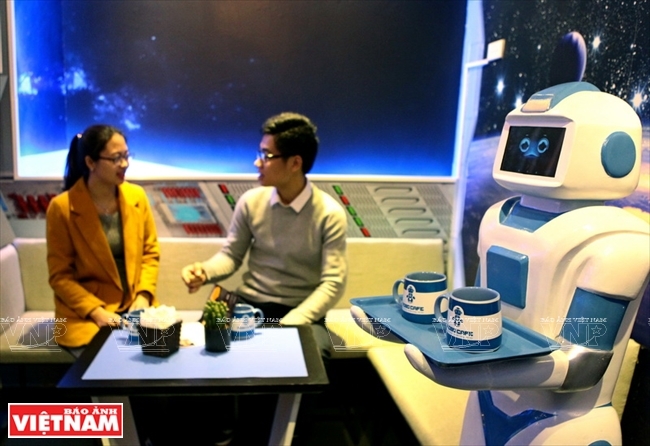 The coffee shop is designed like a spacecraft to inspire young people in technological innovation. Mortar is 130cm tall and weighs 20kg. 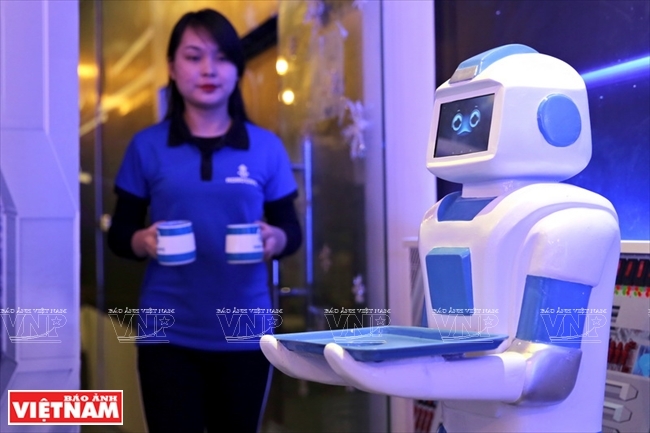 The battery-operated robot can work for 15 hours constantly, doing most of the jobs of a waiter like bringing drinks to guests and speaking simple words". The magnetic sensor installed on the floor helps Mortar move throughout the café. 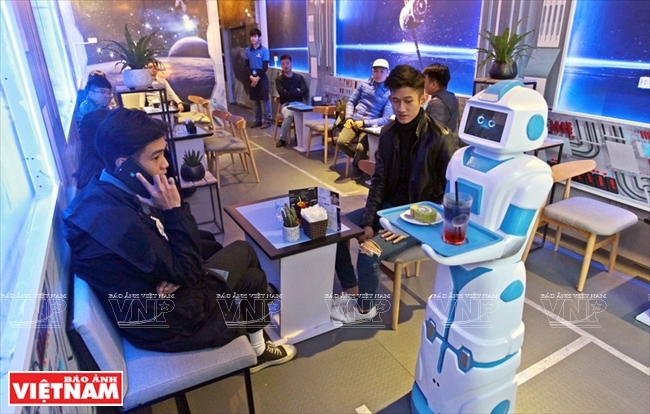 The owners of Robo Café are two young men Nguyen Quoc Phi, 30, and Vu Trung Thanh, 25, who had a passion for making robots. 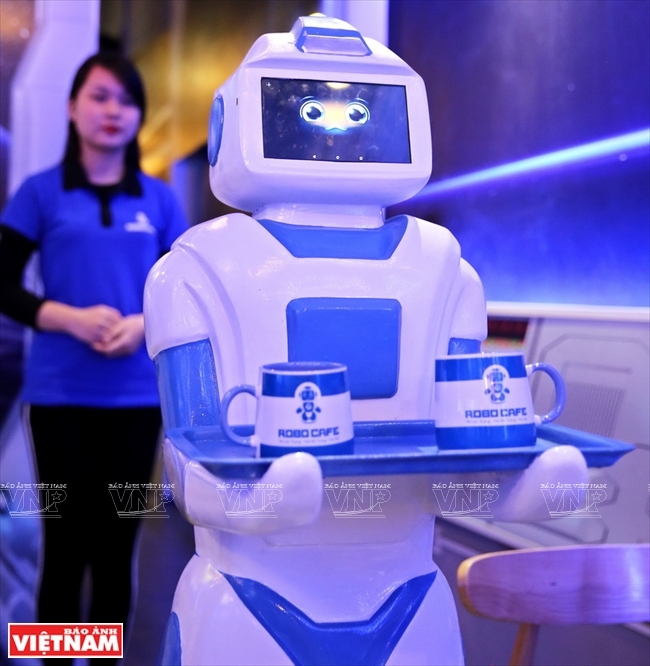 Robo Café is the first one in Vietnam using a robot waiter. Mortar is the first invention of the coffee shop’s owners. Taking drinks for Mortar to deliver. 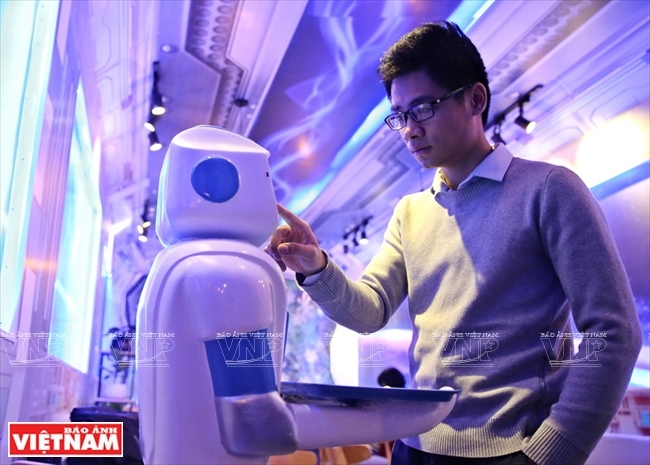 Selecting the table number for the robot to take drinks to customers. 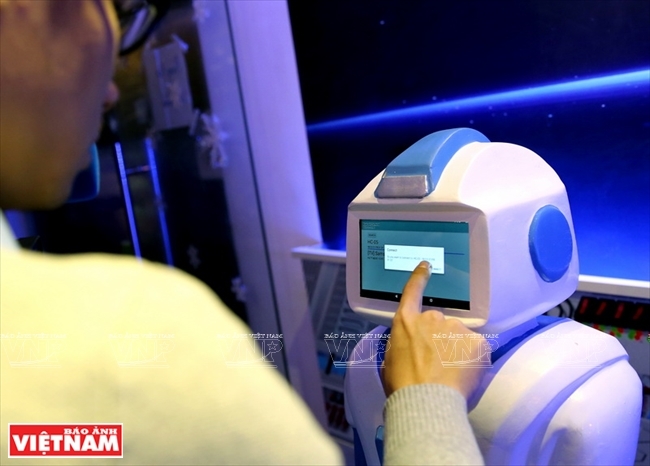 The robot is controlled through a sensor screen on its face. Mortar can work for 15 hours and needs a charge of 6 hours. The magnetic sensor helps Mortar move properly on tracks on the floor. It can say: "Have the drink, please" to customers. Mortar’s face can show expressions. 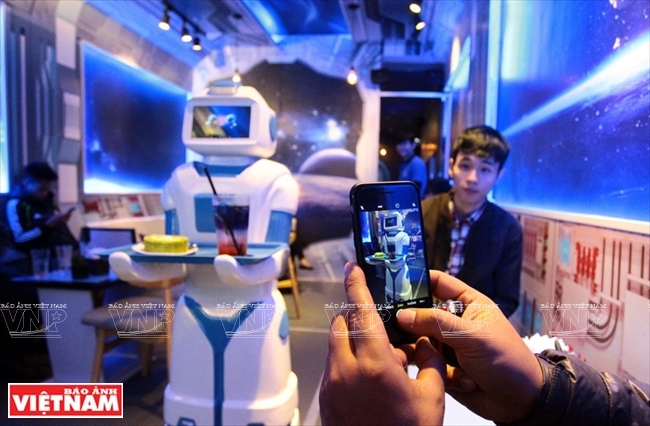 Robo Café inspires technology innovation for young people. The special waiter surprises customers at first. A little boy is curious about Mortar. The little customer is excited about his unique waiter. 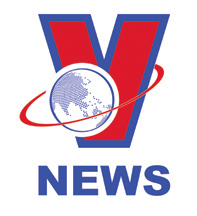 Mortar is a promising start for applying advanced technology in Vietnam. 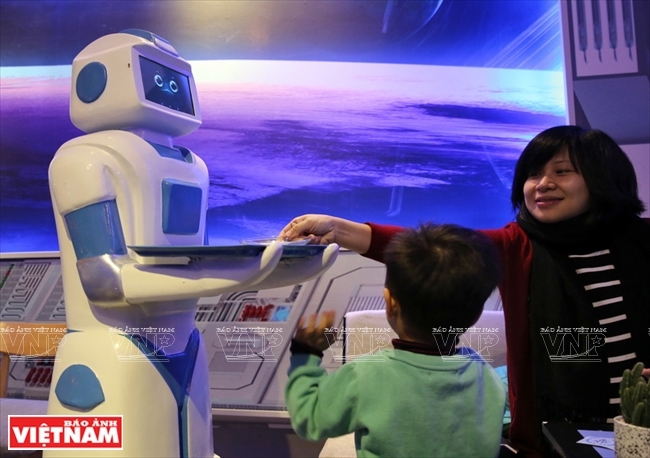 It is motivation for the manufacture of more advanced robots in the future. 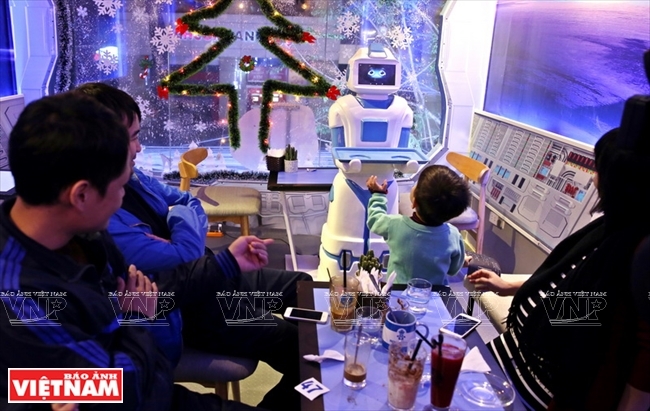 While a student at the Hanoi University of Science and Technology, Thanh successfully made a robot used in the healthcare sector. 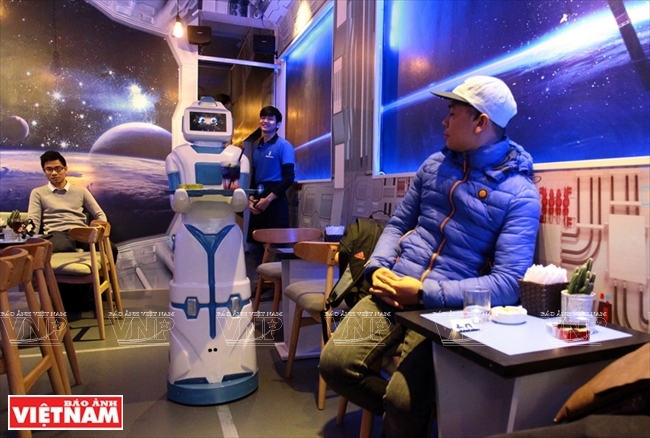 After graduating, he met Phi who shared the same passion and they learned how to make a waiter robot. It cost them much time and money to finish. 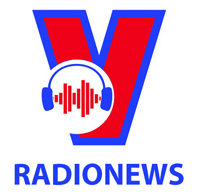 After several failures, Mortar was born in late 2017, costing the two young men nearly one year and some 100 million dong (roughly 4,600 US dollars). 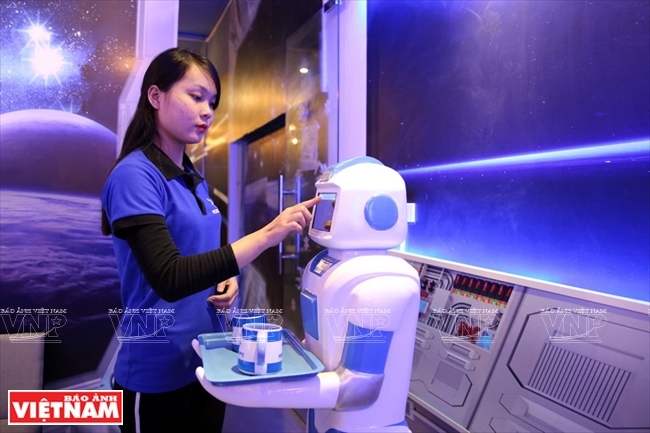 They were among the first successful manufacturers of robots in Vietnam. Thanh said Mortar has worked very well since the coffee shop opened. They plan to manufacture three more with smoother movements and better communication to serve in the café. 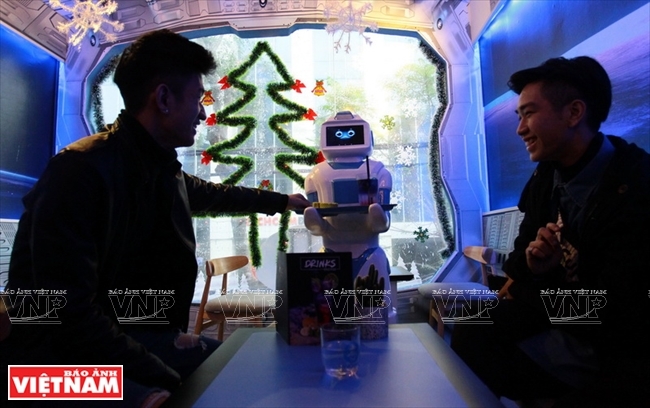 Phi and Trung hope their café will become a familiar rendezvous for young people who love making robots.